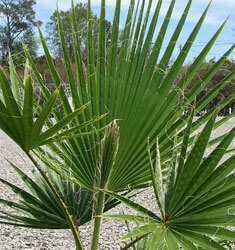 Large, stately looking palm. Huge fan-shaped fronds. Blooms in summer.